Doctor Naser Zarafshan ( Lawyer of Zahra Kazemi's family and lawyer for the family's of serial murdering in Iran) in "Beheshte Zahra" cemetery - section #33 where dissident murdered by Shah are buried. In an interview Mr. Zarafshan speaks about Mr. Salehi a prominant labour personality who has been arrested and detained just prior to May Day . He speaks about the struggle of a nation for freedom and that this struggle won't stop as long as there is oppression. Leave the people alone ! The Association of Iranian Writers loudly says: What do you want from the life of these people? What is all these arresting , harrassing, summoning, imprisoning, torturing and bothering of people? What is these all censorship and freedom killing for? Leave the people alone! In continuation of all these oppression; You are threatening the independent publishers; You are not even leting alone the grave of all those who have fought for the freedom of this land ; You are also not leting alone the historical structures and cultural heritage of the people of Iran and the world including the collective " Pasargad " historical heritage. Why? What is all these opperession and lack of wisdom? At the end on the occasion of May first the international labour day ; the association demanded for the immediate release of Mr. Mahmoud Salehi and other workers , teachers, students, women human rights activists , journalists and demanded for an end to oppression and summoning. Teachers, students , women and workers continue their protest for their human rights. Their protest make the " Human rights and Democracy movement" stronger. Ms. Nazi Azima Radio Farda's journalist is banned to leave Iran ! Radio Free Europe: Let Radio Farda's journalist leave Iran! Radio Farda: Dr. Jeffrey Gedmin, the head of the Radio Free Europe , Radio Liberty , has asked the Islamic Republic of Iran to let Ms. Parnaz( Nazi ) Azima who is banned from leaving Iran to leave Iran. Backstory - On January 25 , 2007 Ms. Nazi Azima the journalist for visiting her mom ( Due to illness she was transfered to ICU) arrived in Mehrabad international Airport in Tehran and her passport was confiscated and all her efforts to get back her passport ended with no result.Ms. Azima was working for Radio Farda in Prague - Czech Republic since 1998. On Spring of 2006 she had same problem and her passport was confiscated by the airport agents for several weeks and she could not leave Iran.Ms. Azima has a dual nationality of U.S and Iran. All my effort has ended with no result and yesterday my lawyer spoke with the deputy on security and they have told me to waite.She said she has been in Iran for two times and this was her third one. She said : It is my right to return to my country and everyone has right to return to her/his country and no one must stop her except; for those who have been found guilty of charges. I dont know at all .....without any reason or problem , why they are dealing with me this way. The head of the teachers union Mr. Aliakbar Baghani was arrested while the students were taking their exam in the class. The secretary general of the Iranian Teachers Union was arrested in this morning while his students were taking their exam in the class. Today at around 9:30 am three agents with plaincloths attended at " Roshd" high school, while two of the agents waited in the school yard the third person entered in Mr. Baghani's class and by showing a note as written summon arrested and left the school by taking him away. At present, there are six board members of the Iranain Teachers Union in Evin prison. They are : Mr. Hamid Poorvosugh, Mr. Seyed Mahmoud Bagheri, Mr. Mohammad Taghi Falah, Mr. Aliasghar Montajebi , Mr. Mohammad Reza Rezaie and Mr. Alireza Akbari-Nabi . Mr. Asadi a teacher from the city of Karaj was also summoned to the court. The teachers demand : The harrasment against teachers to stop and their rights and demands be answered. Supports for Iranian women's rights advocate are on the rise as Ahmadinejad's government shows its teeth on them by summoning ,arresting and detaining . 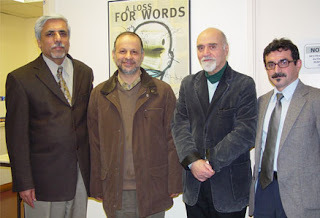 This picture was taken in Shahrvand publication office in Toronto , Canada while Ganji was here to receive his award from Canadian Journalists for Freedom of Expression (CJFE). Judge Said Mortazavi the interrogator of Zahra Kazemi , Tehran public prosecutor and the Judge of press court on the spotlight. According to the news: The press jury found Mr. Mohamad Reza Khatami the manager in charge of the banned Mosharekat newspaper a reformist party newspaper guilty of charges and the complainant was Mr. Said Mortazavi the interrogator of Zahra Kazemi the Canadian-Iranian photojournalist. Mr. Khatami was charged with : Propaganda against the system, insulting officials ,publishing lies to creat public disterbance and defamation of officials. Ahmadinejad's government is anti Iranian and anti human rights and democracy ! 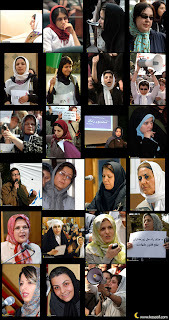 While the British sailors are with their family ,Iranian women rights advocates are still in Evin prison ! 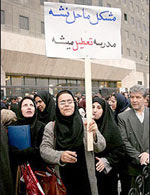 On April 2 ,2007 while collecting signature on a petition to end discriminatory laws against women In "Lale Park" , Ms. Mabubeh Hosainzadeh and Nahid Keshavarz were arrested and now six days have passed since their arrest. According to constitution they didn't break any law and their action was peaceful. Three women rights activists are summoned to the court! The security branch of Tehran Court of Revolution has asked Ms. Saghi Leghaie, Ms. Parastoo Dokuhaki and Ms. Sara leghaie to attend to the court on Sunday. These three women rights activists were among those 30 women who staged protest for the release of their colleagues in front of TCR last month and was arrested at the time , imprisoned but released on international pressure and on bail . They are charged for "breach in national security" and "causing public unrest". IWC : The movement for democracy and human rights is alive in Iran ! Mohsin Abbas discovered his destiny in Pakistan at age 8, when he found himself near a roadside tea shop watching with fascination as a crowd of people — some illiterate, others too poor to buy a newspaper — debated a column in Mashriq, the main daily in the industrial border city of Sialkot. "I saw men beating their wives, and kids working as child labour, and I always wondered: Who's responsible for all these problems?" recalls Abbas, now 32. "Then I was at this tea shop looking at these people talking about these stories in the newspaper, and I knew I could use words as a tool to express myself and expose these injustices I saw." Under a regime often criticized for its restrictions on press freedom, Abbas started freelancing as a journalist while still in high school, served as a stringer for Associated Press and Reuters in war-torn Kashmir, and as a staff writer at the Urdu-language Daily Pakistan, where he worked from 1993 until 2002. He never shied away from writing about sensitive issues — even police violence, the politically risky topic that ultimately forced him to flee in 2002. The irony is that Abbas, like many other journalists living in exile in Canada, has been muzzled again in a land that prides itself on freedom of speech. So much so that members of the organization Journalists in Exile, sharing Abbas' frustration, this month launched their own online magazine — at http://www.jexcanada.com — to create a place to be heard again. "I don't have any fear in Canada and I feel free to write about anything that I like," says Abbas, who has worked in sales, in factories and freelancing for BBC news online while awaiting a decision on his refugee claim. "The problem is there's no outlets for our voices to be heard, because the Canadian media would not take a chance on us. I took up the profession for my passion. It makes me crazy that I don't even have a voice now." Back in Pakistan, Abbas quit only when his life was at stake. He broke a story in February 2002 alleging police involvement in the murders of two journalists, including a Daily Pakistan colleague who had been writing a book about the press and the police. "The police took my father for questions twice, and my five sisters were begging me to leave the country." Abbas spent several months wandering through Dubai, London and the United States in dim hopes of returning. But when Pakistan passed a "defamation ordinance" in October 2002, further tightening censorship, he knew there was no going back. That's when he contacted exiled journalist advocacy groups in Canada. Like Abbas, most exiled journalists are toiling in two or more "survival jobs" to make ends meet, often while separated from families half a world away. Yet members feel compelled to contribute to the magazine in their free time, to have a forum for issues important to their ethnic communities — issues they feel are neglected in the mainstream media. They are contributing columns, articles and cartoons, and the website includes links to individual blogs and a special area where journalists can pitch story ideas for the perusal of Canadian media outlets. Maryam Aghvami, president of the six-year-old exile group, notes that these journalists are often sought-after sources for Canadian media. "You spend two hours on the phone with a (Canadian) journalist to brief them on issues and get them contacts in the community. As much as I love them, you don't hear from them till their next story," laments the former Reuters reporter from Iran. "They don't always have the expertise in these communities, and we want to help them so they don't screw up stories. But for us, this is another form of exploitation." Earlier this year, Aghvami represented the Ethnic Media Press Council of Canada at a federal government news conference in Mississauga on immigration, and found herself passed over when an organizer found out she was with "the ethnic press." "I asked him after the news conference why I didn't get to ask my questions, and he explained to me that the Q&A was for local and national media only," says Aghvami. "It's shocking and frustrating when others treat journalists like myself with such disrespect, that we're less than others." Among her group's 70 members across Canada, none has landed a permanent mainstream media job, even though some had previous experience in international English-language media. While a few find freelance work, most volunteer for shoestring community publications to "keep their skills fresh." "I guess our motivation is to get our self-confidence and self-esteem back, so we can still pick up a pen and write again," says Aghvami, who left Iran in 2001, when political reformists there lost ground to religious conservatives and she no longer felt safe as a female journalist. She was never jailed or tortured, but when reporting for foreign media she'd get calls from government officials questioning her on her interview subjects. She was on contract — and still occasionally freelances — as an associate producer with CBC's Fifth Estate, but she has also found bread-and-butter work in the insurance industry and for translation services. Morteza (Mori) Abdolalian, JEX's co-founder, says the group's members, who hail from two dozen countries in Africa, Asia and Latin America, reflect the rich life experiences of many new Canadians and can help local media see "the other side of the community." "We are the invisible journalists in Canada," says the political writer, who left Iran in the 1976 to study in the Philippines. "It seems that journalists in the West don't really see us as one of them, though we're just as well trained and experienced." A founder of the Iranian students association at Manila's University of the East, Abdolalian was critical of Iran's theocratic regime in the campus papers, Akhgar and Dawn. It was no surprise that he was greeted by intelligence officers at the Tehran airport upon his graduation in 1982. He was imprisoned twice by authorities, leading up to his ultimate escape back to the Philippines the next year. When he began being harassed by some Iranian students and embassy staff in Manila, he moved to Japan with a Red Cross-issued refugee passport. After being stateless for five years, he arrived in Canada in 1990. 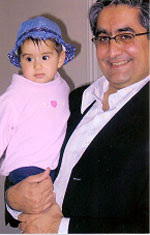 "We need to speak up for those who can't," says Abdolalian, who runs his own news Weblog at http://www.moriab.blogspot.com. "This is in my blood because I truly believe in freedom and democracy. It all starts with a voice." Saleem Samad, 54, an exiled journalist from Bangladesh, says the risks and threats he and many peers faced in defending press freedom are hardly fathomable to Canadians. He was threatened many times and jailed twice over his three decades in South Asia's English-language press — once blindfolded and left in an isolated cell for five days without food or water. But nothing could sway him from his passion for writing about conflicts and terrorism. He fled to Canada in 2004, after a source within the intelligence services warned him his life was in danger. "Things are going wrong everywhere, and we need to expose them to the rest of the world. If I stopped writing about these things, I'd better retire from the profession," says Samad, a former reporter with The Bangladesh Observer and New Nation and a correspondent for Time Magazine's Asia edition. Samad started a job as a security guard in Toronto a month ago, and hopes to see his wife of 25 years and their two children join him in Canada in September. He is a volunteer editor for JEX's magazine. 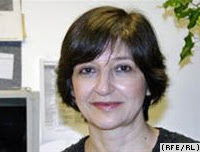 (New York, April 7, 2007) – The Iranian government should immediately release two women’s rights activists arrested on April 1 and end its harassment and persecution of human rights defenders, Human Rights Watch said today. 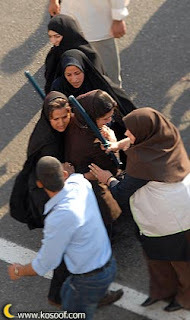 On April 1, 2007, security forces arrested five women’s rights activists who were planning to gather signatures for the One Million Signatures Campaign, a project aimed at collecting one million signatures to demand an end to discrimination against women in Iranian law. This includes a call for women’s testimony in court to carry the same weight as that of men, equality of inheritance rights between men and women, the elimination of polygamy, and equality of compensation payments in the event of the wrongful death of a man and of a woman. The arrests took place in Laleh Park in Tehran; three of the five were released two days later. When British sailors are released why not Iranian women? Mr. Ahmadinejad Now that you have released the British sailors because of Eastern and the approaching birth day of Prophet Mohammad, please release our Iranian sisters from Iranian Evin prison. They havn't done anything wrong . They were exercising their rights .They were only collecting signature on a petition to reduce discrimination against women. They didn't violate any law. End violation against women and release members of the "campaign for one million signature" Ms. Nahid Keshavarz and Ms. Mahbubeh Hosainzadeh. Mother of Imprisoned Journalist: I Revert to God ! Rooz (R): What is the latest official news about your son:Ali Farahbakhsh (AF): I was in court today and spoke with the court clerk. Judge Babai was not there himself. They have made a mistake in the sentence. They added a zero the sum of money that they claim my son received from foreigners. In the charges brought against my son, the amount that is mentioned is $2,300. But the judge changed that to $23,000. My husband says the charge is a joke. How could anyone be a spy for $2,300? Nobody believes that. R: Did anyone from the court give any explanation about this mistake?AF: Ali’s attorney was surprised when he saw the sentence and why the amount of money had been changed. He wanted to talk to the judge, but was told to wait until the end of the Iranian Nowruz holidays (which officially end on April 2nd, 2007). This is how lightly they take these things. The judge who passed this sentence should not be able to sleep peacefully at night, just as he has deprived us of sleep. How can they talk of Nowruz celebrations while we are going through hell. The morning I returned, they told me that the numbers was a typo. I asked him whether he understood what adding a simple zero does to the family of an imprisoned person, to which he responded that they had corrected the issue and asked for a review. R: How did this happen? The extra zero.AF: I do not believe this was a mistake. How can a judge not read the sentence? I am sure if my son had seen this figure, he would have had a heart attack. R: Have they promised to change the sentence?AF: I hope the sentence will be changed in the appellate court. We plan to sue the judiciary for causing us such distress in the mistake they have made. But when the word of the chief of the judiciary branch is not heeded to, how do you expect our efforts to succeed?R: In response to your letter, Mr. Shahrudi, the head of the Judiciary Branch had requested that your son be released on bail. Where did that go?AF: The judge blatantly told me he was not going to implement Mr. Shahrudi’s request. Our attorney put Shahrudi’s letter in the dossier, but every time I wanted to talk about it with the judge, he told me not to. He was indifferent to the letter, and did not care that Mr. Shahrudi was the head of this country’s judiciary. This makes one wonder: when the words of the head of the judiciary are ignored, how can one expect them to even listen to me. Mr. Shahrudi even sent a letter to the head of Tehran’s judiciary explaining that injustice was done to my son. Only my son’s release can compensate the pain that I have gone through. R: Did they explain the reason for his detention during the Nowruz celebrations, especially as the investigation phase had been complete?AF: I do not know what is at play that even when the head of Tehran’s judiciary appointed a judge to investigate the issue, nothing came out of it. The investigative judge told me that he had read the charges and that there was no problem with asking for bail. Still, our efforts to have our son with us during Nowruz were useless. R: Did they say when the appeal would take place? AF: They said they would apply after April 2nd. R: How was your son when you last spoke with him?AF: He was very, very demoralized. His heart aches had returned and so he needs the care of a specialist. R: What did Ali think about the sentence?AF: He was in a state of shock. The whole event from arrest, to detention and trail has been a nightmare for him. Out of fear for his condition, we did not tell him about the mistake in the Dollar number. He says he is innocent and that they have cocked up these charges against him. Ali’s colleagues too believe and say that he is innocent. R: How are his wife and child?AF: She is in a bad state as well. Especially as they live in Ramsar (a city in northern part of Iran). She is a surgeon who is doing her service out of Tehran while their infant is only 18 months old. She used to come to Tehran once a week to see her husband and then go back because of her work. R: Has Ali’s attorney applied for bail?AF: They would not allow Ali to see his attorney prior to the trial. On the day of trail they saw each other for the first time. The court hearings were in cameraR: Are you going to follow things up with Mr. Shahrudi?AF: No. Because he already made recommendations on two occasions. There is no one else to see, so we are reverting to God. Ali’s father is ill too, and does not leave the house for weeks and says he did deserve this after years of service to his country and people. He said he was ready to go and spend time in solitary confinement instead of his son. R: What would you tell the judge if you were to meet him?AF: I hate you. You have broken my heart as a mother. You have injured my soul, made baseless accusations, and I hope God will punish you for it. Thomas Madondoro, Luis Matta, Morteza Abdolalian, Mir Hussain Mahdavi, and Ashoke Dasguita (left to right) are enrolled in a new program at Sheridan College that retrains foreign journalists so they can work in Canada. Ever wonder who answers the phone when you order a pizza, or who delivers it? It may be a one-time journalist from Afghanistan. Or a pamphleteer from Iran. Now a trail-blazing program at the Sheridan Institute of Technology and Advanced Learning is giving foreign-schooled reporters and editors a chance to sharpen their skills to seek work in their chosen field in Canada. The program, called Canadian Journalism for Internationally Trained Writers, started up in January. The first class has 32 people originally from Pakistan, Kenya, India, Brazil, Argentina and elsewhere. It was set up by Joyce Wayne, a journalism and English literature teacher at Sheridan for the past 18 years. Formerly editor of the books magazine Quill & Quire, Wayne knew of newcomers with writing backgrounds here through PEN, the worldwide association of writers, and Canadian Journalists for Free Expression. "Many writers living in Toronto are refugees and had to leave their countries for writing the truth," she says. The daughter of immigrants to Canada, Wayne empathized with their struggles to re-establish their careers here. "I don't see why most (Toronto) newsrooms are a sea of white faces in the most multicultural city in the world." Wayne approached Sheridan academic vice-president Maureen Callahan who, she says, needed just two minutes to approve the year-long journalism certificate program. The program got a major boost last month when Mike Colle, Ontario's citizenship and immigration minister, announced $348,000 in funding. The federal government has kicked in another $275,000. The money will go to establishing a broadly based Centre for Internationally Trained Individuals at the Oakville college. Courses modelled on the program for journalists are planned for foreign-born accountants, technologists, nurses, early-childhood educators and filmmakers, among other pursuits. Those enrolled in Sheridan's journalist program are paying $4,400 in tuition, with some helped by scholarships funded by the Globe and Mail, CBC, Canadian Press and Torstar, parent company of the Toronto Star. All students will get a three-month work placement as part of the program. Some in the inaugural class came to Canada simply to seek a better life, but as the accompanying profiles show, others have backgrounds more evocative of political-intrigue novels than pizzeria work. The writer is in the charter class of the Sheridan program for émigré journalists. 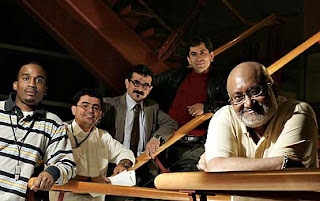 Dasgupta worked as a copy editor in Nepal before coming in 1997 to Canada, where he has mostly worked in call centres. Five members of the Campaign for " One million signature" have been arrested! According to Roozna, four active members of the women movement while collecting signature for the campaign for " One million signature " have been arrested in " Laleh " Park in Tehran. Ms. Sara Aminian, Ms. Nahid Keshavarz , Ms. Mahbubeh Hosainzadeh and Ms. Saideh Amin today at lunch time in " Laleh " Park while collecting signature for the campaign for "one million signature" were arrested by the agents and were transfered to the office of " Naja" . Naja is one of several inteligence office.